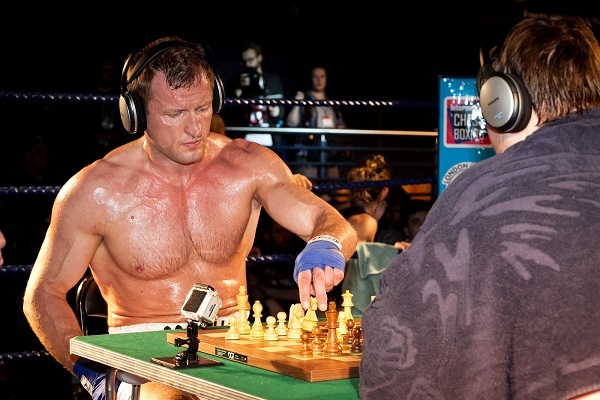 ChessBoxing | Chess and boxing combined in one sport! Picture a great boxing fight… The two fighters fighting each other with all their might. Then, the bell rings and they lower their guard, go to their corners to take off their gloves, approach the centre of the ring and play chess! 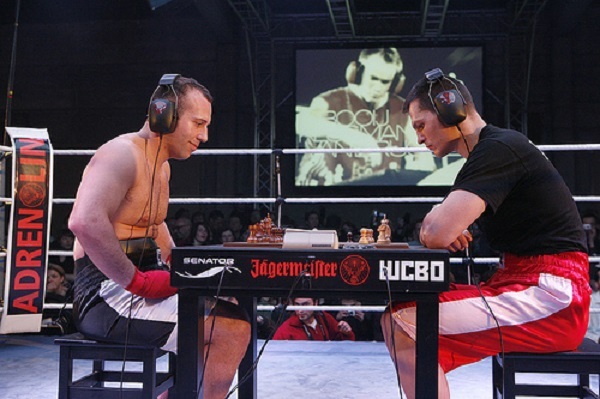 This happens when two noble sports such as chess and boxing were combined for the sake of ChessBoxing. Since the concept was first seen in London in 2008, the unusual sport began to gain fans and popularity worldwide. From Los Angeles and Tokyo to Amsterdam, Berlin and Krasnoyarsk in Russia, the audience is always way too excited and never stops shouting during the fights. Within the last five years, the fights have begun to be really on fire, and especially in England, where tickets are snapped up within hours. 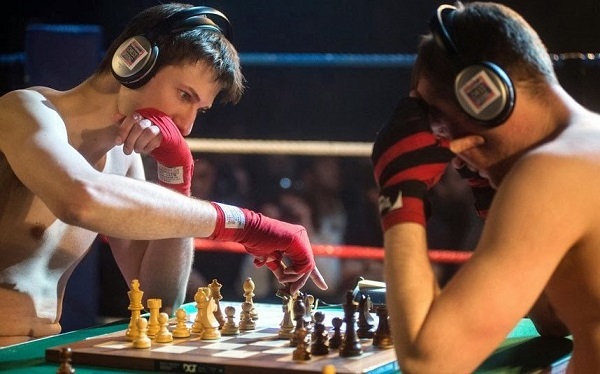 More specifically, two professional boxers (men usually) begin to fight in the ring, but once the bell rings, they sit in the center of the ring and play chess for the next four minutes! Athletes wear earplugs so they are not disturbed by the shouts of the crowd, and begin to think of the next move of their pawns. The cameras zoom immediately on the chessboard and the giant screens show their choices. When the four minutes are up, the fighters retreat to their corners, put their gloves on again and boxing starts again! This process is repeated for a total of 11 rounds, with the hope that someone will have been knocked out by the end. 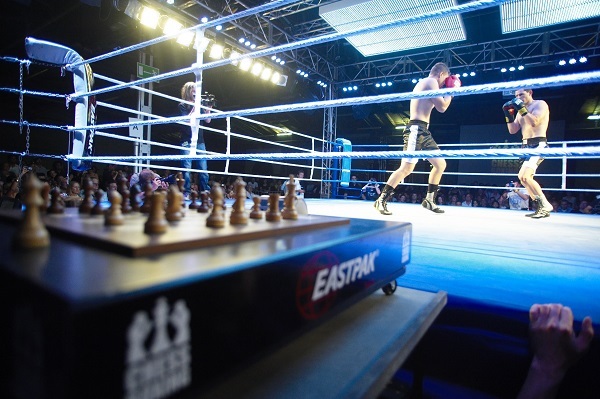 In essence, the game consists of six rounds of chess and five rounds of boxing, while between each round the athletes has just one minute to take a few breaths. According to the rules, if the chess game comes to a deadlock, then the winner is determined by his performance during the boxing rounds. This is a fight not only against a physical opponent, but also against time. 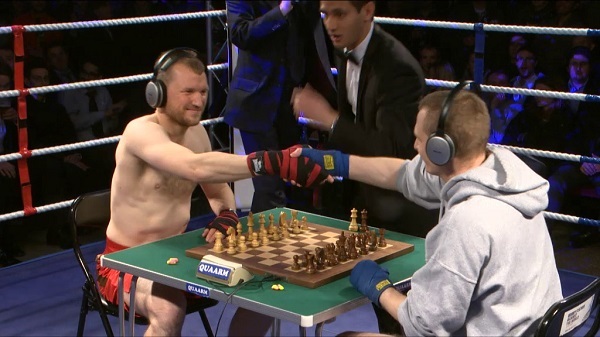 The athletes have to be both excellent boxers and train their chess skills before their fights. According to the World Chess Boxing Organization, there are currently more than 150,000 athletes around the world!